The LTB60, Leviton Decora Timer Switch offers advanced features, superior accuracy and contemporary aesthetics. It provides convenient timed control of lighting and motor loads in homes, offices, schools, libraries and other small commercial applications. It is ideal in automating control of heat lamps, hot tubs, attic and exhaust fans. This timer allows users to simply press and hold the top button to initiate override or press and hold two buttons to convert the 60-minute timer into other available time intervals. It has soothing green LED locator lights and offers three colours in one box, plus single pole or 3-way capability (with VP0SR). This auto shut-off timer is perfect for controlling the on/off function of lights, exhaust fans or heaters inside your home. Reducing their operation time will save you energy dollars. Just turn the dial for up to 60 minutes of run time. Tutti-Frutti 60-Minute Mechanical Timer Whether it's for a birthday party, a gathering of friends or simply an afternoon snack, you can always find a reason to bake some delicious homemade treats. With the new Dolceforno line of baking utensils from Metaltex, preparing cakes, cookies and pastries is now an easy and enjoyable task. 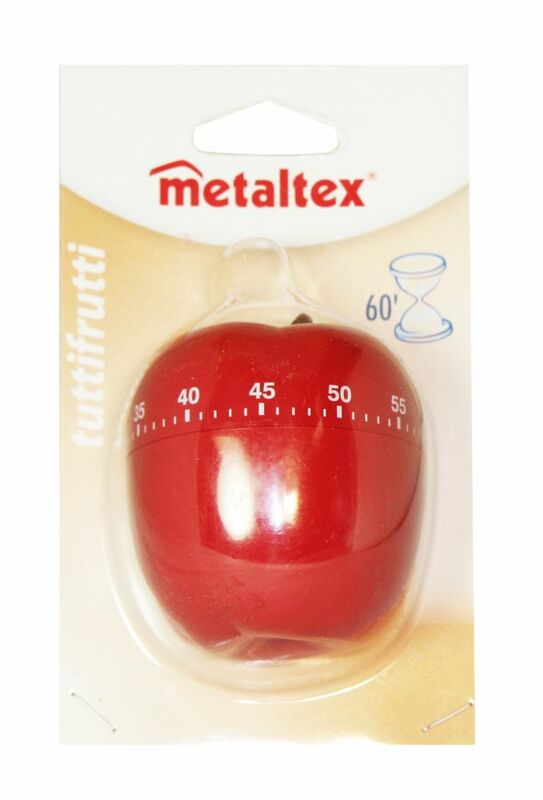 Tutti-Frutti 60-Minute Mechanical Timer is rated 4.0 out of 5 by 1. Rated 4 out of 5 by Stully from Kitchen Timer Works great, easy to use and attractive gadget for the kitchen.